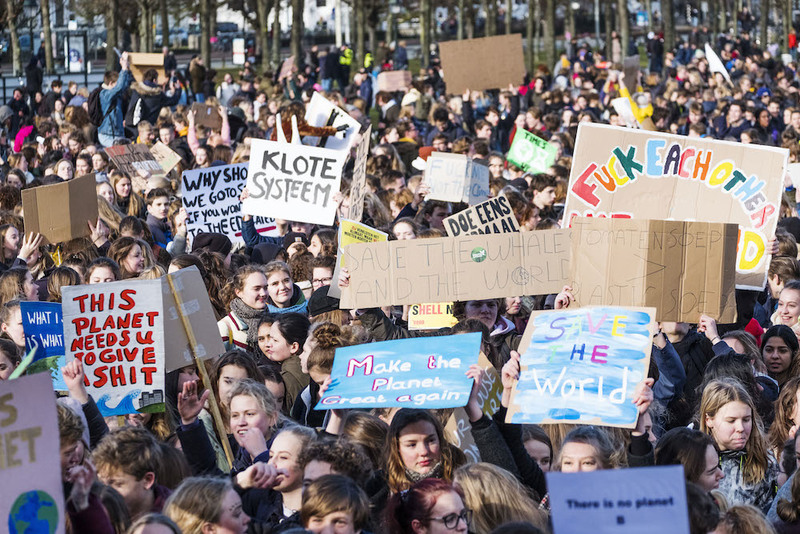 Prime minister Mark Rutte is to meet the initiators of last week’s school pupil climate demonstration on Tuesday afternoon. Economic affairs minister Eric Wiebes will also be at the talks, which are taking place outside school hours, Dutch media reported. Rutte earlier described last week’s demonstration by up to 15,000 school pupils as fantastic, but said the Netherlands is already doing far more than many other countries to slow climate change. The teenagers, united as Youth for Climate said on Sunday that they will not hold a second demonstration this week because of the talks with the ministers. ‘We first want to talk with Rutte and Wiebers, after which we will decide if and when we are going to go on strike again,’ the group said on Instagram.